A traditional dresser or linen chest from about 60 years ago was signed by premier maker, "Century." Mahogany with matched flame grain on the serpentine drawer fronts has an excellent restored finish. 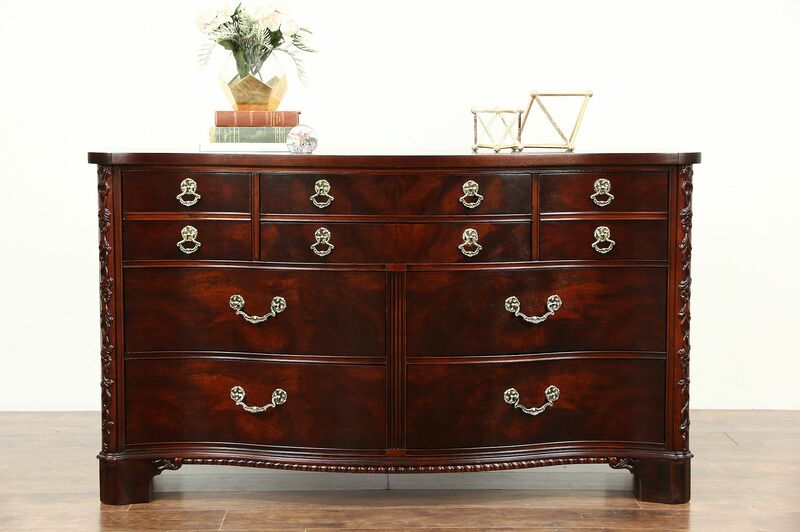 Understated detailing is finely carved on this American made vintage furniture. Lavishly embossed brasses are original on large drawers with dovetailed joints. Measurements are 62" wide, 23" deep and 35" tall.